Pencil Fingerz first caught our attention with his renderings of celebrated rappers and influential figures of our time. He’s been working hard, building up a roster of rapper clients, who are fans of his drawings, done by Wacom tablet. 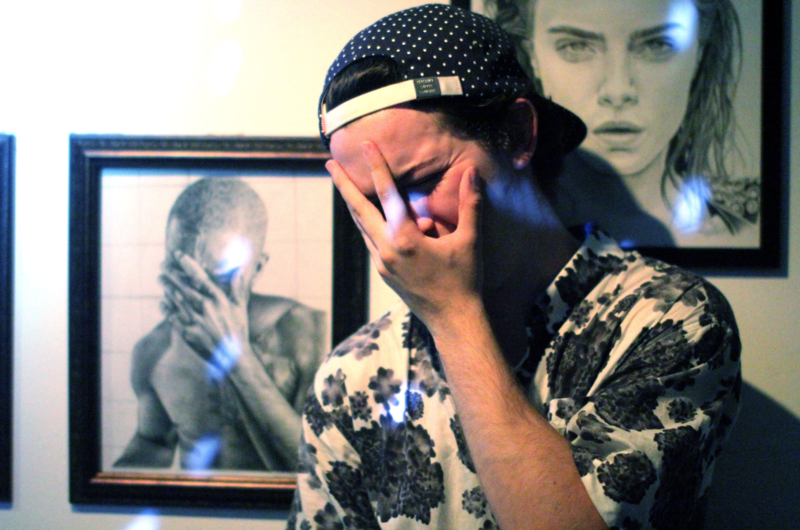 He put on his exhibit “All My Creations” at Fortune Sound Club, and we were treated to an up close look at his art over the past few years. 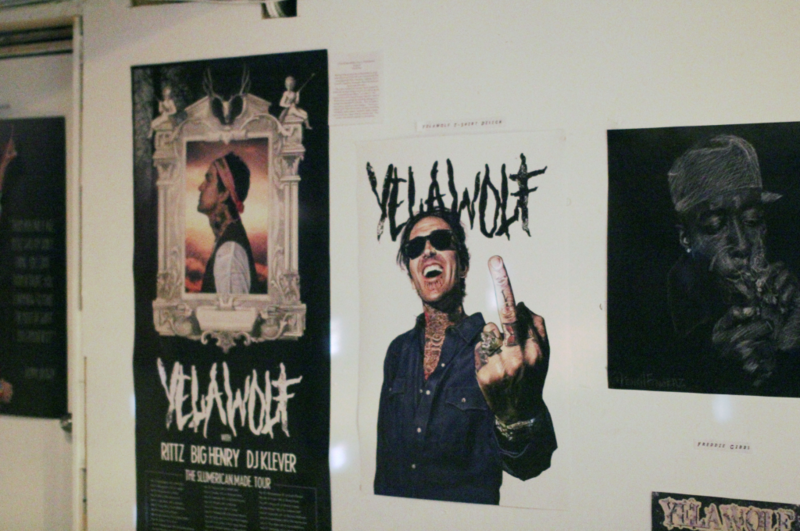 Yelawolf is one of PENCIL FINGERZ longest collaborators. The pair have worked on the Slumadian and Slumerican Made your posters, and merchandise. A drawing of Yelawolf, his middle finger prominently on display during Pencil Fingerz art show in Vancouver. It’s been less than a year since Pencil Fingerz moved from rural Chilliwack, to Vancouver, and he’s been busy making moves since. 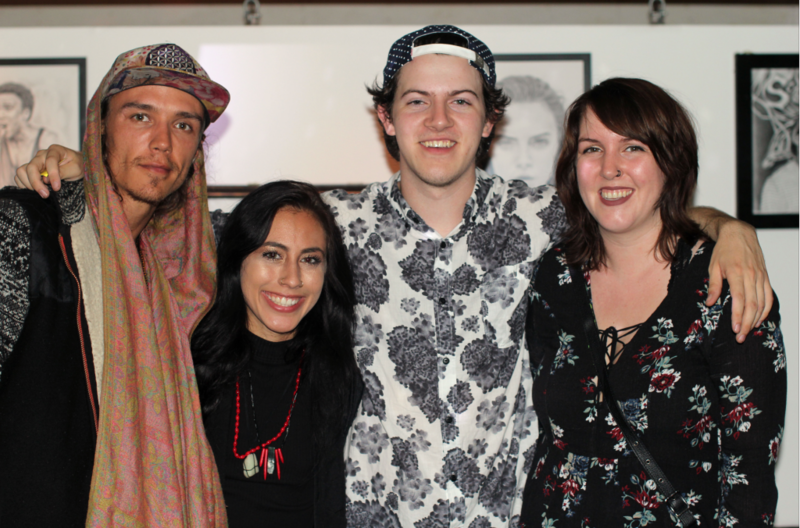 His first art show in the city, marked his presence as a Vancouver artist, and it was touchingly well attended by friends and family who came out to show love for their hometown boy.